New York (TADIAS) – The Lion Economies – a term coined by the global management consulting firm McKinsey & Company two-years-ago to describe the seven out of ten fastest economies currently located in Africa – is also the slogan being used to promote the 2012 “Ethiopia Investment Summit” that is scheduled to take place at the United Nations Economic Commission for Africa (UNECA) building in Addis Ababa this week. The event is timed to coincide with the World Economic Forum’s meeting on Africa set to commence at the Sheraton Addis on Wednesday. But does not reinventing Ethiopia’s image abroad, begin at home, where it remains mostly a one-party-rule, and locked in chronic-poverty, corruption, embezzlement, and the muzzling of journalists? According to Henok, the UNECA conference will serve as a platform for foreign investors to explore Ethiopia as an investment destination. 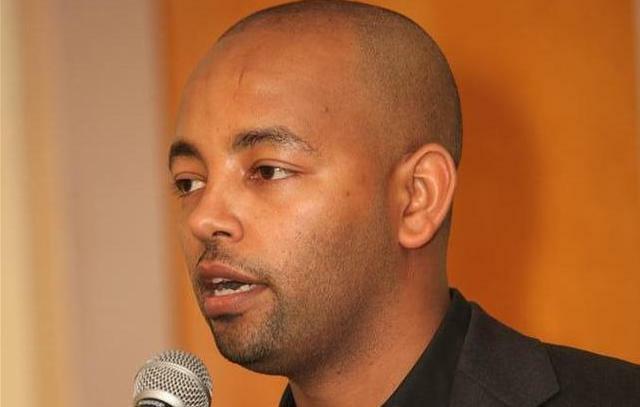 “It is designed to create a network and partnership between local CEOs and foreign CEOs and policymakers against the background of a discussion about investment opportunities and challenges in Ethiopia,” he said. 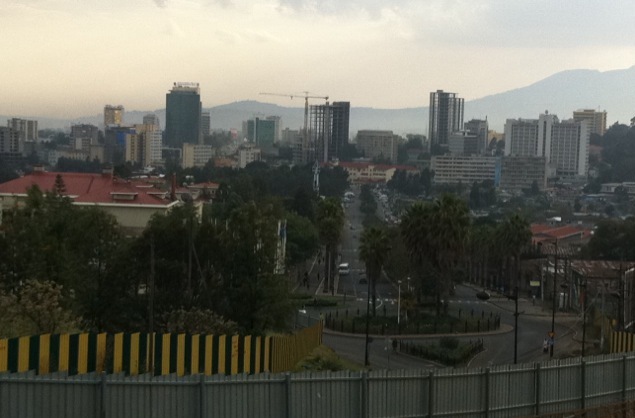 You can learn more about the 2012 Ethiopia Investment Summit here. More information about the World Economic Forum can be found at www.weforum.org. The question is how widespread are the gains? The flare of Economic activity in Ethiopia is real if it can be sustained! In Ethiopia today you can murder land for private profit. They see a land untouched for 1000 years, and they are in hurry to exploit it into a Kansas style mechanized farming that supposedly is more civilized than the local way. You can leave the corpse for all to see, and nobody calls the police. Don’t blow it Ethiopia – good land are hard to find. Especially those untouched for 1000 years. We abuse land because we regard it as a commodity belonging to us. Because we are hungry for quick cash. When we see land as a community to which we belong, we may begin to see alternative ways of developing it without destroying its make-up. The earth we abuse and the living we move, we kill will, in the end, take their revenge; for in exploiting their presence we are diminishing our future. The foreign big corporations don’t not need this platform scuh as World Economic Forum & Ethiopia Investment Summit, these Big International behemoths have already an advocate the likes of Bill Gates. Bill Gates, who is chairman of microsoft an the founder of the Bill and Melinda Gates foundation favores large-scale farm acquisitions through his association with the biggest food processing corporations such as Proctor & Gamble, Nestle, Monsonto (Which Gates foundation has an investment portifolio). It is confusing to comprehend where people like the Gates stand. Are they concerned for the public good or the good of big business? Gates with his buddies of Big Agro is know as PHILANTROCAPITALIST advocates for the use of genetically modified (GM) crops and chemicals to push up output per acre for the Big Agro, but won’t help poor smallholder farmers and underdeveloped countries. Attempting to make poor smallholder farmers into supply chain is a dangerous idea, because this concept has many downsides. Smallholder farmers in countries like Ethiopia, who supply to offshore Big Agro corporations will not grow the diversity of crops needed by local populations and those farmers who depend on one crop are more vulnerable to diseases. According to the UN study about one-third of the food produced in the world gets wasted. Much of it in poor countries never leaves the farm because it gets spoiled or fails to make it the market due to lack of infrastructure such as roads and warehouses. Another study by International Food Policy Research Institue shows that modest increase in the use of irrigation in Africa could boost output by as much as 50%. Last but not least the disparity in wealth in Ethiopia is insurmountable and this artificial growth and wealth is created at the expenses of these smallholder farmers. At these Economic Forums and Summits access to equal opportunity and education needs to be addressed for this growth to be viable. Must give credit where credit is due Ethiopia’s economic numbers are very impressive! I like what Ato Assefa said, we have to start somewhere and sometime! “For me, the alternative of sitting there and staring at this golden land for another 1000 years is clearly not an option.” I am with you brother! Undeniably Ethiopia has been registering changes in various arenas with the passage of time. And yet, this change the country witnessed was and is not able to serve the masses of the society. I think the economic growth of a given nation has to be evaluated on the basis of the life improvement of its people– the majority. In this regard, in Ethiopia people–the overwhelming majority— are still suffering from the ever worsening cost of live increment and from several other untold misfortunes amidst of the time government claims that the country’s is registering fastest economic growth. Basing one’s argument on the slippery GDP to show the progress of a nation is less authentic as the economists claim. particularly, in countries like Ethiopia, it is beyond a mistake to take it into account to talk to economic growth and development where income distribution among its people is quite inequitable. Economic groth how good a yardstick of our present or future prosperity is it? It’s seminal indicator we could become healthy country if also improve on the social and political front. We can’t clap with one hand. It doesn’t help to sit and look at all the negatives or the possibility of poor farmers getting exploited, they are in any case not any better at the moment so we as a country have to stand up and do what it takes to take us forward and maintain the momentum gained and if that comes with some risk then we have to take it. To sit another 1000 years and hope wouldn’t help our people. Free markets are prone to boon and bust. Making Ethiopia food sufficient country is a noble idea, except the new Oligarchy is under the illusion that’s all the people need to be content with half-full belly. The manufactured consent will not last without proper power sharing, independent media, honestly elected government, which Ethiopians are perfectly capable of. Today everything is changed. We are not living in yesterday’s Ethiopia. The economy is booming and spiraling. Over the last two decades, a miracle had been created in all aspects of economic and social infrastructural development. The development miracles in rural & urban centers are the fruits of all citizens, effective governance and sound policies. To sustain our development, we all should play our respective role as a citizen of this proud country. Thanks for sharing our story on your wonderful platform. I have done a quick scan of comments from fellow readers of Tadias. It seems to me that the main concern is that fast economic growth has not meant better living for most Ethiopians. Concern is also rightly over high inflation in the country. This is surely a noble concern. It is a question that we should always be raising to ensure that it is adequately addressed. None can claim that life in Ethiopia is not difficult for most. None can also claim that things will be fine and dandy overnight. What we should expect to see then is real progress overall, even as we occasionally suffer regression. Then I would argue that Ethiopia is actually doing fine, thank you very much! You don’t have to take my word for it. UNDP says that Ethiopia is the best performer in the world in improving the living conditions of its people from 2005-10. But even then, we’re still nowhere close to being out of the hole. The question all of us should ask is then…regardless of whether the Ethiopian Government is doing right or wrong, WHAT AM I DOING TO CONTRIBUTE MY LITTLE BIT?